You can have a memorable birthday party for your kids and still have something to spare for other financial obligations. Being broke does not work as an excuse not having a birthday party; you can still organize one and deliver the kind of fun they would expect. You can throw a wonderful party without having to sacrifice much and still make the event as good as any child would want. 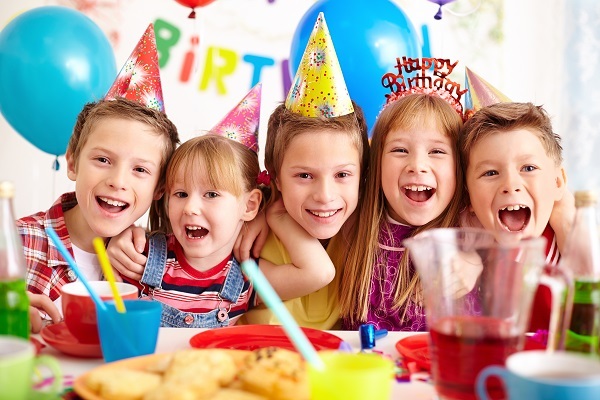 Kids love to be involved in the preparation of their own birthday parties; this not only makes them active but also goes a long way in cutting its costs. There may be decorations which will be needed during the party. Children can participate through drawing and writing messages on papers, teach them how to use crayons and ribbons to spice up the room where the party will be held. Apart from ribbons and homemade birthday messages, use your creativity to spice up the party. You can make a birthday cake at home or get a friend or family member to do it for you. You will also need juice or other soft drinks, instead of buying carbonated drinks, you can use homemade juice, it’s not only the healthier option, it will also save you a handsome amount of money. You will likely have your kid sharing a birthday with a classmate or relative – combine forces, with each parent contributing items which will be needed. Organize a larger dual party but also make sure that the cost is kept at a minimum by using local materials as mentioned above. This means that a party which would have cost a given amount is shared proportionately, relieving each of the parent. You can hold the party at home to cut on the cost of hiring a venue as well as utilize a wannabe kid DJ within one of the families to avoid the cost which comes with hiring a professional. You can organize a kids birthday without breaking the bank and still give them the kind of fun that they will love. The trick involves keeping it simple but ensuring that it is fun. Fully involve the kids from the beginning, stick to the basics but add spice to it without a huge budget.